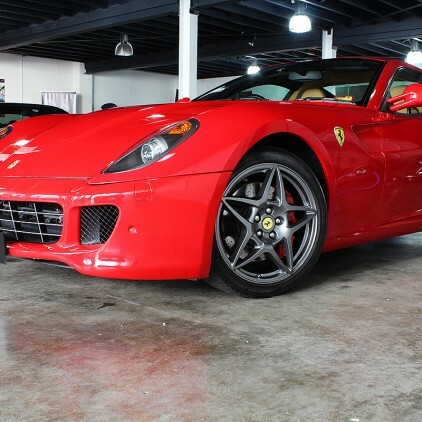 There is no doubt that this Ferrari 599 GTB Fiorano is one stunning piece of machinery, designed with several objectives in mind, to increase driving pleasure, guarantee performance and to ensure comfort and safety. 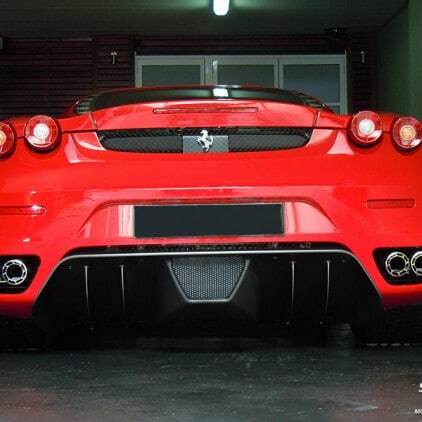 Named the 599 after its engine displacement and GTB short for Gran Turismo Berlinetta, and Fiorano after the famous private track Ferrari uses to hone its F1 and road cars. 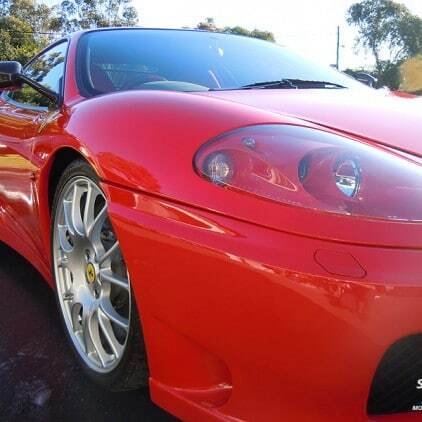 This stunning red paint on this Ferrari unfortunately was full of swirl marks and contamination, a total of 14 man hours was spent on just the exterior alone of this vehicle, decontaminating the paint and removing heavy tar deposits, once the paint work was free of contamination multiple paint correction stages were used to correct the paint work to produce a stunning imperfection free finish. 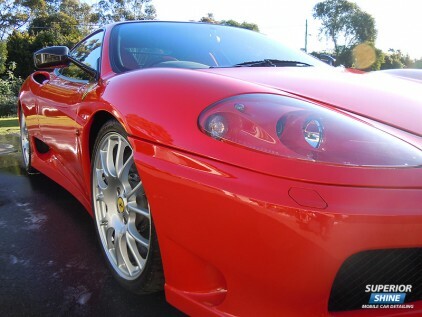 Superior Shine Mobile Car Detailing was asked by the fastidious owner of this Ferrari F430 to perform a Full Detail and apply the increasingly popular Paint Protection. The leather interior was cleaned and treated with Prima Nourish, which leaves a matte finish on the leather that is soft and supple, protecting it from premature aging and UV Rays. 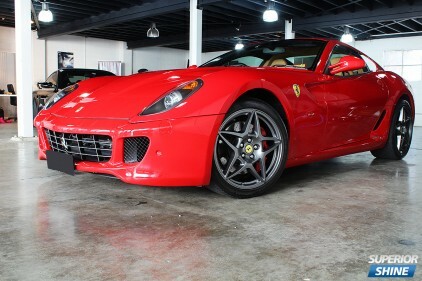 After the paint work was decontaminated and polished the Paint Protection was applied. 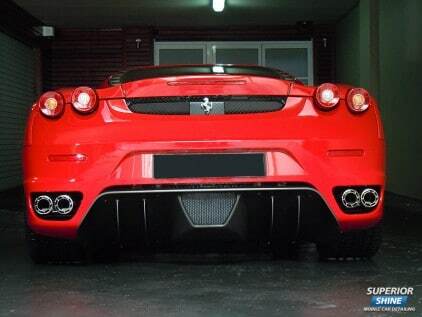 After having spent some time being garaged this Ferrari 360 was due for a good clean up ready to be put on display. The exterior had a soft foam wash then was dried with a microfibre waffle weave drying towel, the paint work was then waxed with Prima Banana Gloss Premium Wax, this product does not have the longest durability however it will add an extremely deep gloss and conceal minor swirl marks when a paint correction is not possible, it is extremely easy to apply and wipe off and does not leave any white residue or stain trims. The results speak for themselves.